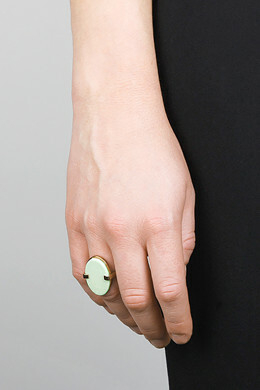 A large cocktail ring and a real stunner: The flat-cut gemstone inlay makes all the difference. Match with earring CORKIN and necklace DAVIDA. 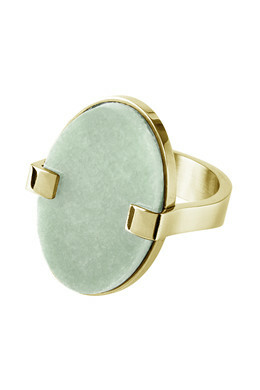 Shown here in gold toned finish and green amazonite.